Ask about our 5 year warranty with any new installation. Hydro Green is your company for all your irrigation needs. 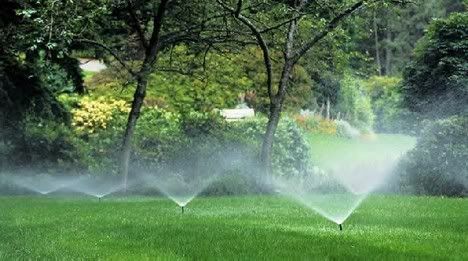 If you are in need of a new sprinkler system, or if you have an existing system that just needs service, the friendly proffesional staff at Hydro Green can assist. Our technichians have the experience to handle whatever the issue may be. Keith Haitz, one of the owners of is a licensed irrigation contractor in the state of NJ. Blades is also a member of the New Jersey Irrigation Association. All the service vehicles are stocked with the proper parts, equipment and tools to service your system quickly and efficiently. The office staff is able to give you an appointment with a (realistic time window) so you do not need to waste your entire day waiting for service. Call the office today and experience why so many people will only use Hydro Green for all there irrigation needs.